Another Fine Day – A Good Place To Be. “Another Cult-Classic From Solo Downtempo Producer Finds It’s Place”. 21 years after Another Fine Days’ Tom Green released the ambient-dub, cult-classic Life Before Land, he returns with a fresh basting of ambient-jazz styling in their latest release A Good Place To Be, out now on Interchill. Fusing natural soundscapes with jazz, percussion and a smattering of instrumental electronica, the ambient and downtempo styles embraced in A Good Place To Be provide the listener with a captivating journey into the realms of natural music and sound. Birds and insects blend with jazz infused keyboards, ambient percussive punctuations, atmospheric synth pads and halting time signatures. Covering a spectrum of musical styles and genres this album doesn’t fit into any narrow slots, with synthetic and natural sounds and music creating a collage of sonic artwork across the board. Greens’ colourful and varied past is apparent in the composition of this album. Rising from a post-punk outfit in the late seventies, blending with outfits including Baka Beyond, The Orb and Natacha Atlas and writing screen music for the likes of the BBC through his music production company Apollo Music, he contributes regularly to quality music libraries for Universal Music, EMI Production Music and Accorder Music. Tom also dabbles in various unique side projects including an ambient commission released in 2012 called Music For Tai Chi and a composition designed for installation in a new MRI scanner complex at the Royal Infirmary in Bristol, UK; Music For MRI Scanners. Track 2 on the album A Good Place To Be, called And Dream of Seals blends affected bird calls with melodic keyboards and mallet percussion to create atmospherics that sit delicately over a bed of subtle beats, set back in the mix. Rising to an excited cacophony of oscillators supplying the playful seals in a wash of percussive waters, this downtempo creation is topped by an icing of electronic synthesis. Enfolded is an ambient piece, wrapping the listener in temperate washes of electronic waves created using progressively arranged atmospheric synth pads, punctuated quietly yet powerfully with almost a hint of angelic brass in the wind. From Tiny Acorns embraces Eastern-influenced strings and mallets in a percussive melody lifted by a bed of progressive, oscillator-effected beats. Atmospheric pads complete the palette as the track rises to the rhythmically melodic crescendo of a string-infused summit, all while the beats track nicely through the piece. The influence of World Music on A Good Place To Be should not be overlooked. Subtle yet distinct, the instrument selection and devices used in the composition reflect a global connection transcending cultural boundaries and merging into a cohesively international blend of sound. Greens background producing with the likes of Abdul Tee Jay and his side project Newanderthal clearly influence this albums creation and its Remixes. 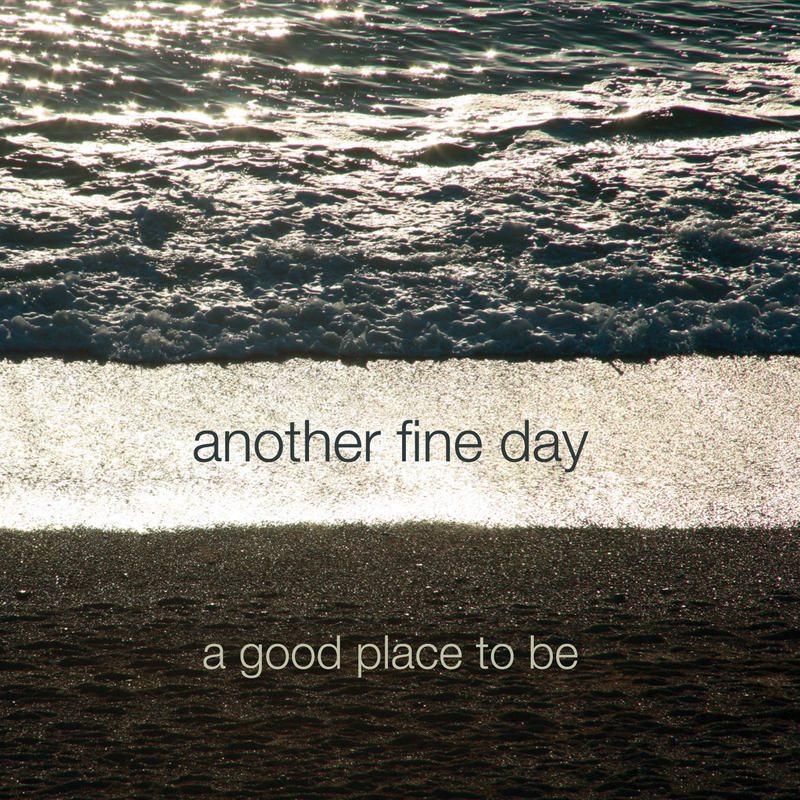 Even at these early stages of release, Another Fine Days’ new album A Good Place To Be obviously has the heavyweight staying power to become another cult classic in the lighter and more delicate styles of the ambient and downtempo music genres. Music Reviews by Will Hancock. www.twitter.com/willchilled www.kymatix.tumblr www.mixcloud.com/willhancock www.beattopia.bandcamp.com www.linkedin.com/pub/william-simon-hancock/1b/800/13b © William Hancock and Custom Shop Records, 2014-2020. Unauthorized use and/or duplication of this material without express and written permission from this blog’s author and/or owner is strictly prohibited. Excerpts and links may be used, provided that full and clear credit is given to William Hancock and Custom Shop Records with appropriate and specific direction to the original content and notification of the said author in written documents.